Panos Nikolaou designed these business cards for his personal branding. With just one glance, one can easily be attracted to the amazing color contrast and the striking typography on the card.  “The motto of my brand is ‘never resist the unfamiliar design’, which is written on one side of the card with a custom font. In order to stay true to the ‘unfamiliar’ idea of the brand, two bold colors were used for the identity – yellow and blue.” Panos said. 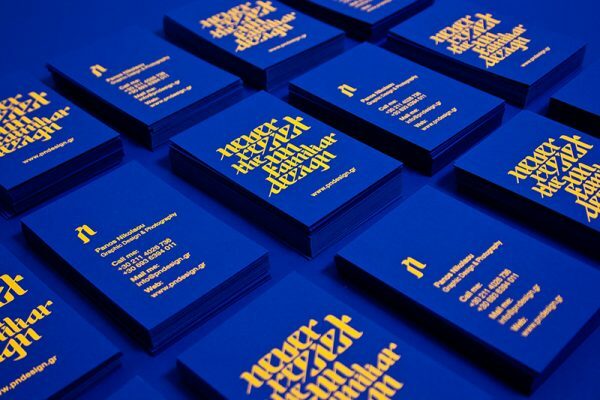 The yellow wordings were hot foil printed on 600gsm Adiron blue rough paper by Petros Daniil.